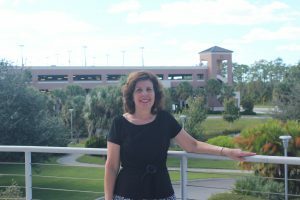 Administrative Assistant Cathy Baust has retired from the Philosophy Department after 26 years of service with the University of Central Florida. She began her time at the university on November 2, 1992, in the Small Business Development Center (at a time when the SBDC was located on the main campus), moving between units before settling into the Philosophy Department in March 2010. As an Administrative Assistant, Cathy ensured that the functions and budgetary needs of the department were handled effectively and efficiently. In her retirement years, Cathy hopes to travel and see more of the world, beginning with an upcoming trip to Italy! Cathy was a wonderful employee whose positive energy, kind demeanor, and caring attitude will be missed by many. The Philosophy Department wishes her all the best as she enjoys her well-earned retirement!